Exclusive to us in sizes 20-32. 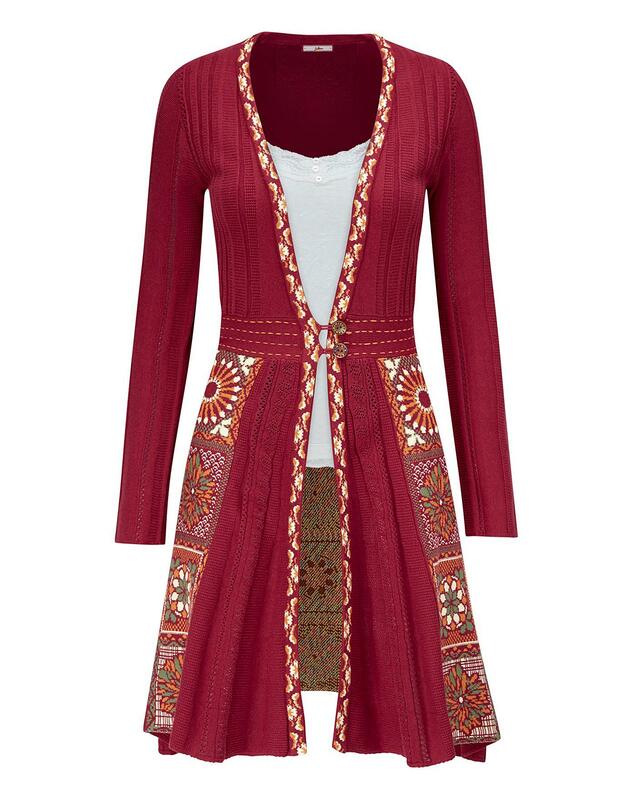 Get ready to stand out this season as you slip on the welcome to autumn cardigan from Joe Browns. 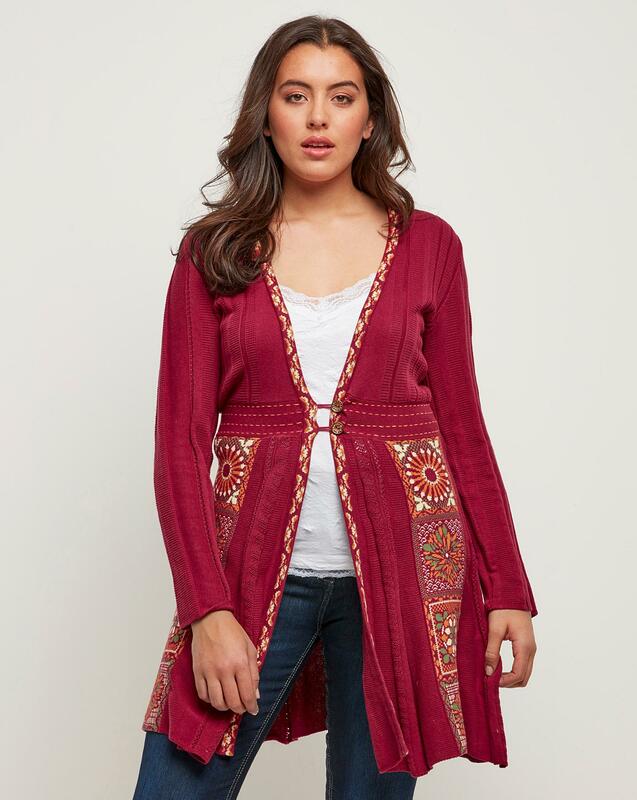 Beautifully styled and boasting a unique and eye-catching design, this cardigan boasts a mixture of decorative knitted panels for a distinctive finishing touch. A versatile piece that can be stayed up or dressed down easily, this cardigan looks best when teamed with a classic, white v-neck t-shirt and some blue-wash bootcut jeans.